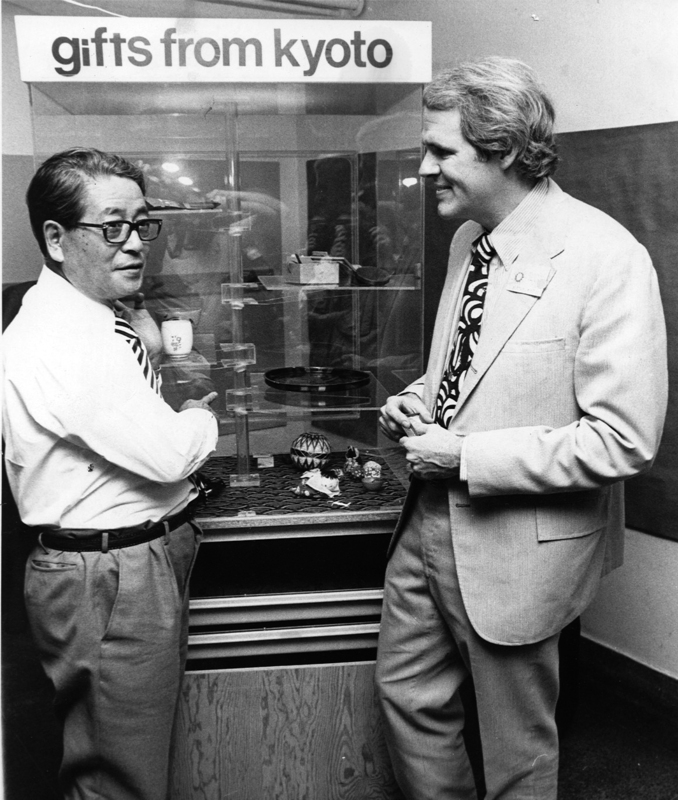 During their visit to Boston to celebrate the US Bicentennial, Kyoto Mayor Funahashi and a delegation of 14 Kyoto residents visit Boston Children’s Museum, presenting gifts from the citizens of Kyoto. 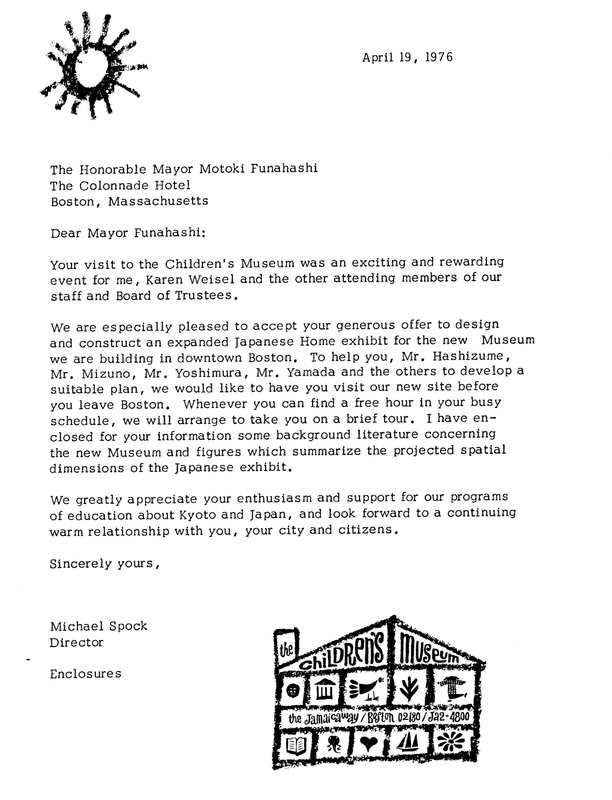 Museum Director Michael Spock’s letter of thanks to Mayor Funahashi for offering a Japanese house to Boston Children's Museum. 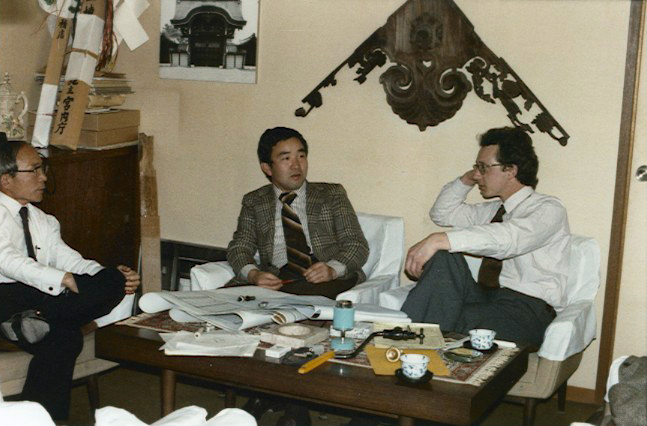 The Harvard East Asian Project begins. 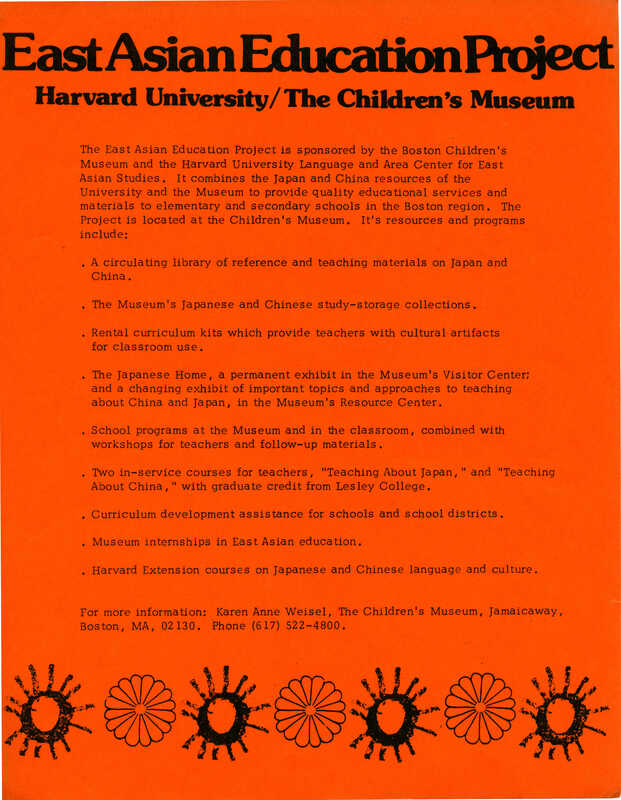 A collaboration between Harvard University and Boston Children's Museum, this ongoing program provides opportunities for teaching and learning about China and Japan. As the planning for The Japanese House at the Museum’s new wharf location proceeds, the staff receives a grant from the National Education Association to celebrate Japanese festivals. They begin with Girls' Day. 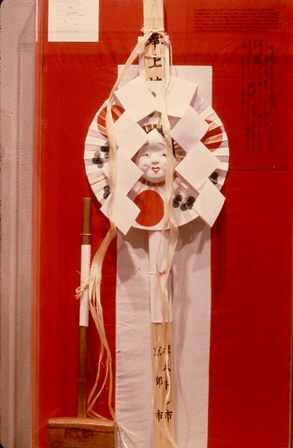 Next on the calendar is Boys' Day, when traditionally carp kites are flown from the roof. 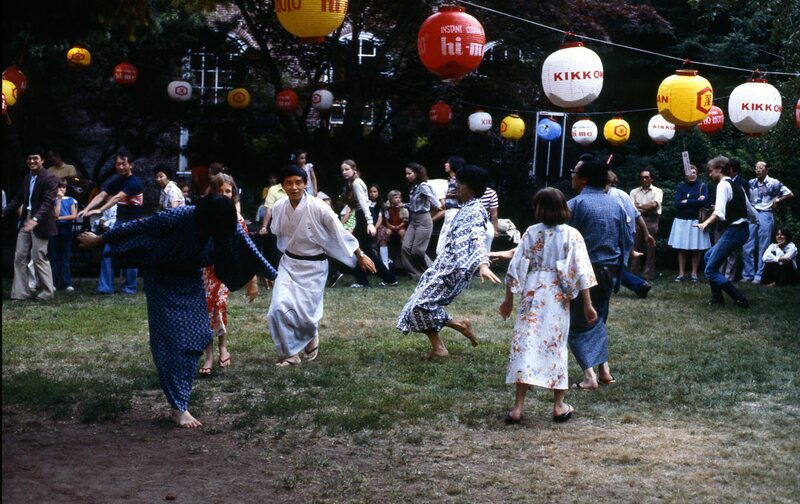 The summer festival of Bon Odori was celebrated outside the Museum. 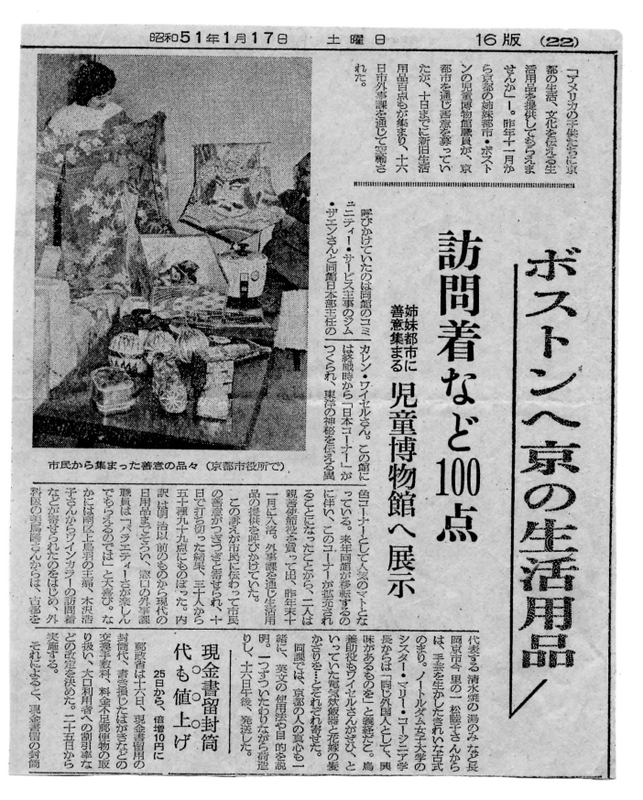 Kyoto newspapers report on trips to Japan by the staff of Boston Children’s Museum to research and shop for artifacts for the Japanese exhibit at the Museum. 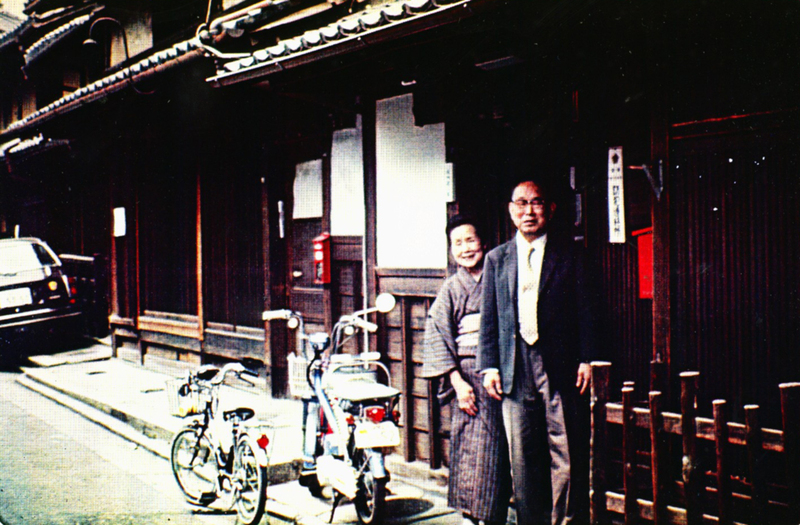 The Sumiyama family own a traditional machiya located in the Nishijin area of Kyoto, which they are planning to replace with a modern house. Instead of tearing it down they offer it to the Museum. 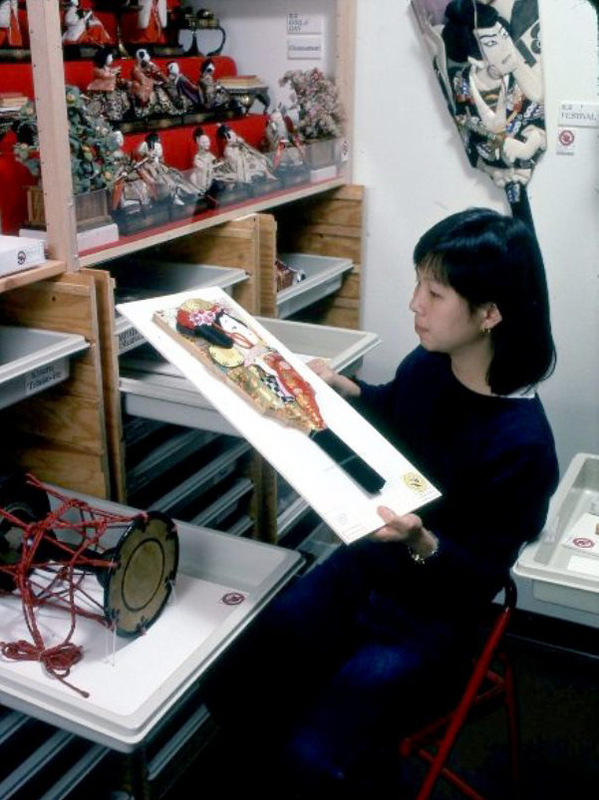 The Yasuimoku Komuten Company, specialists in the renovation, restoration, and construction of authentic traditional Japanese structures, employ master carpenters to dismantle the house and prepare it for reassembly inside Boston Children’s Museum. 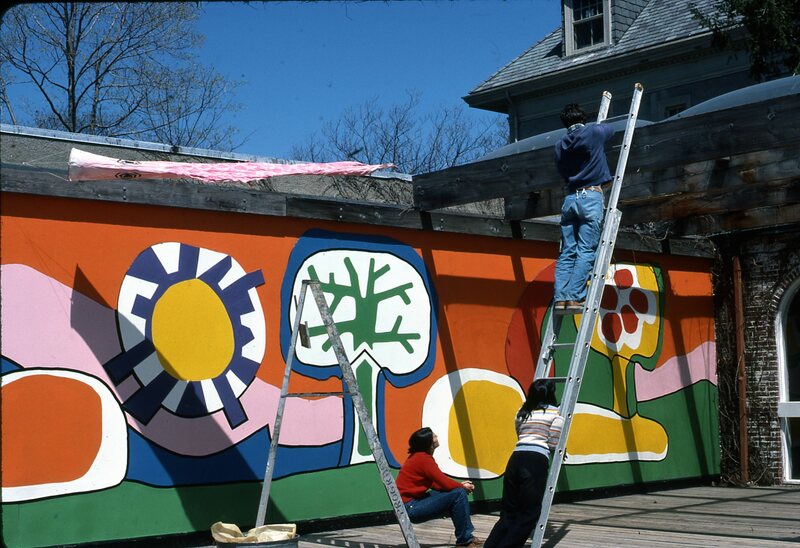 The architects from Kyoto, Eisuke Yoshimura and Masuru Kumagai, and Boston, Ed Howe, work together to plan the rebuilding of The Japanese House within the old wool warehouse that became the new home of Boston Children’s Museum. The Japanese House is reconstructed on an empty lot in Kyoto to see if it is structurally sound and if all the wooden parts are viable. 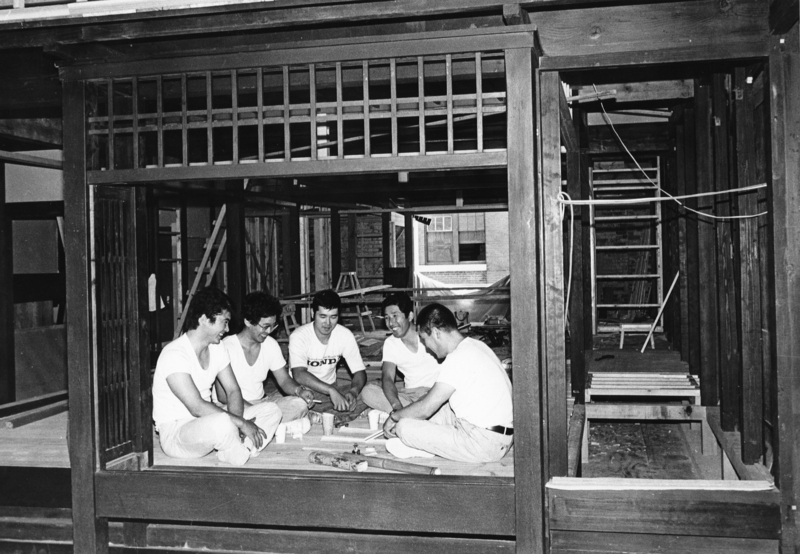 When the house frame was fully reconstructed, the Yasuimoku Komuten Company, representatives from Kyoto city government, and the Museum gathered for a Shinto ceremony to send off The Japanese House to Boston. 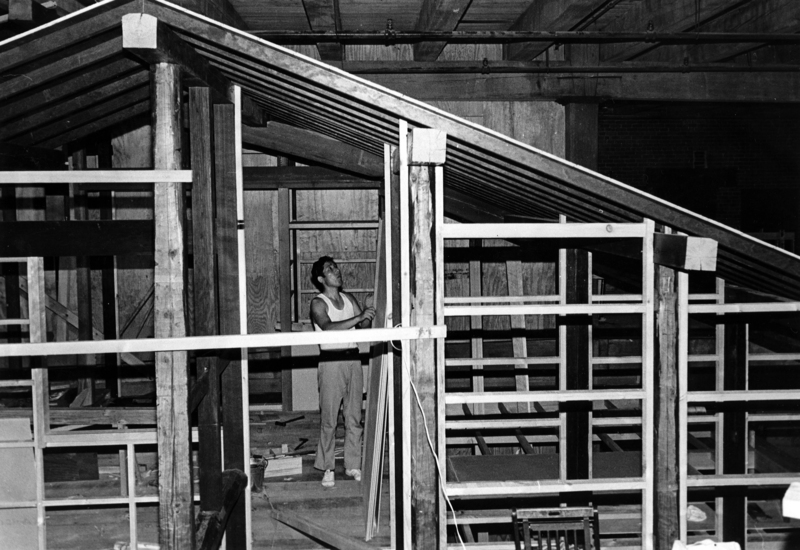 The Japanese House was dismantled again, packed into containers, and put on a ship that sailed across the Pacific Ocean to Seattle. 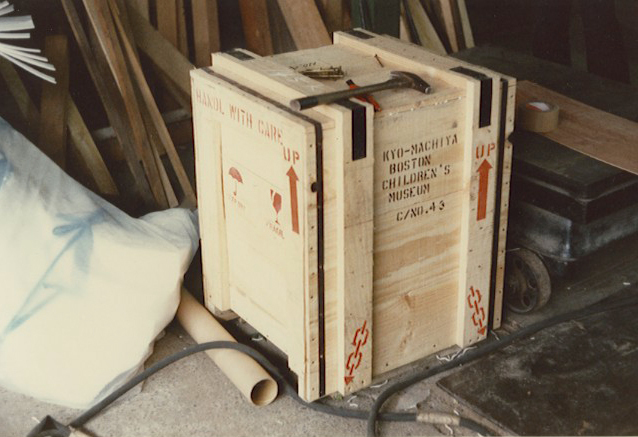 The containers were then loaded on a train headed for Boston, finally arriving at Boston Children’s Museum in late June. 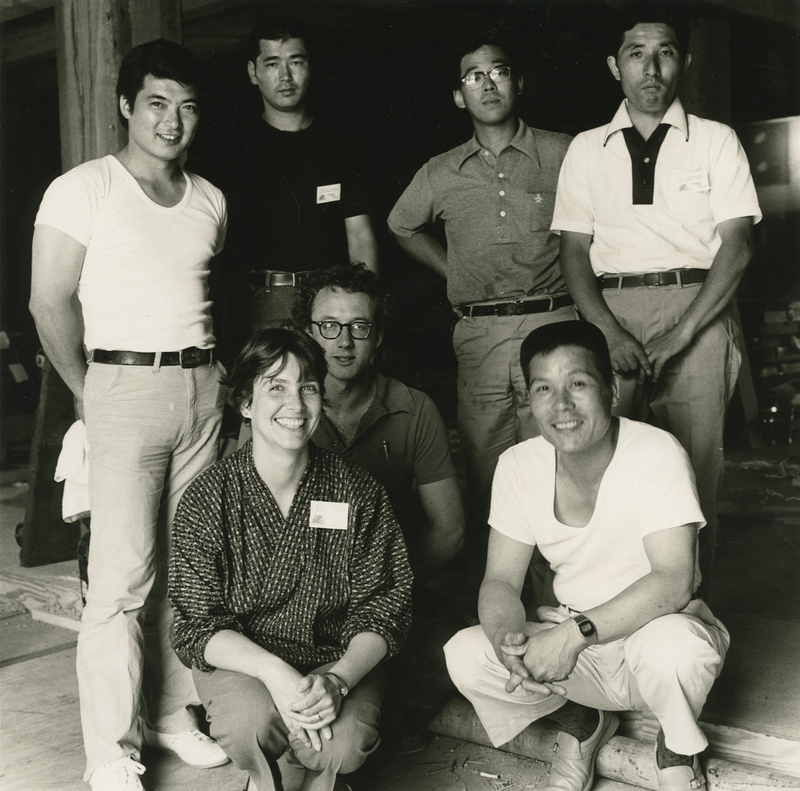 Five carpenters from the Yasuimoku Komuten Company arrive in Boston from Japan to spend the next four months constructing The Japanese House within the Museum’s building. 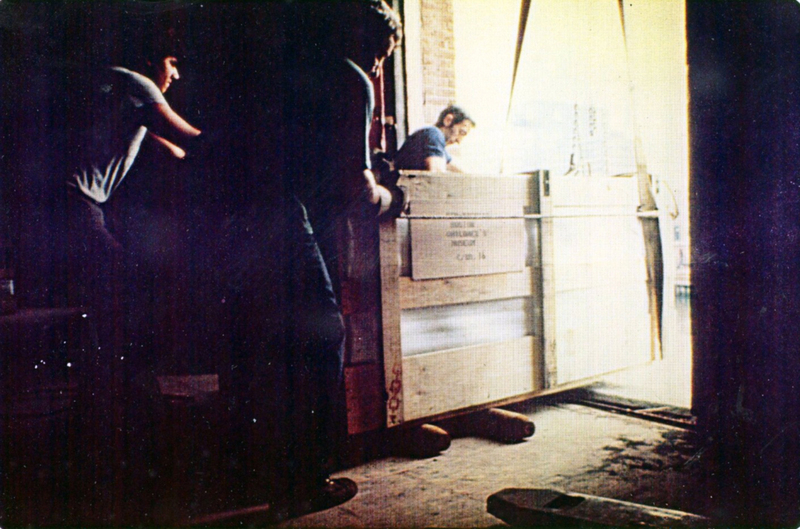 The crates containing The Japanese House are loaded into the Museum building through the large windows overlooking Fort Point Channel and then are unpacked. 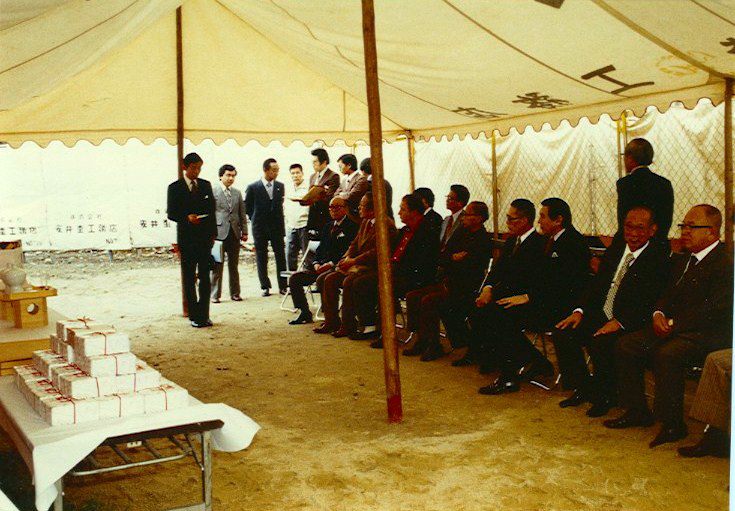 The second Shinto ceremony, the Kiko-shiki, or purification ceremony, is always conducted at the start of construction, to bring success and good luck to the building process. The carpenters erect the frame of the house in three weeks. 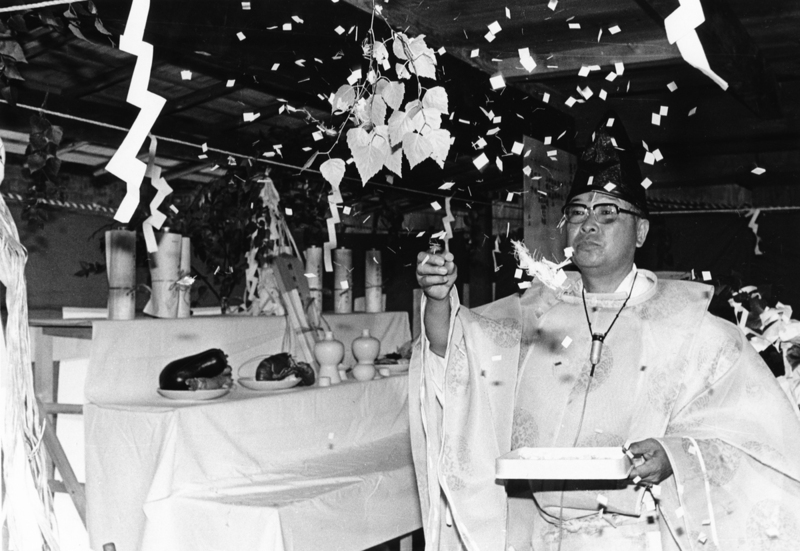 The third Shinto ceremony, the Muneagashiki, or Roof Beam Raising ceremony, celebrates the occasion. 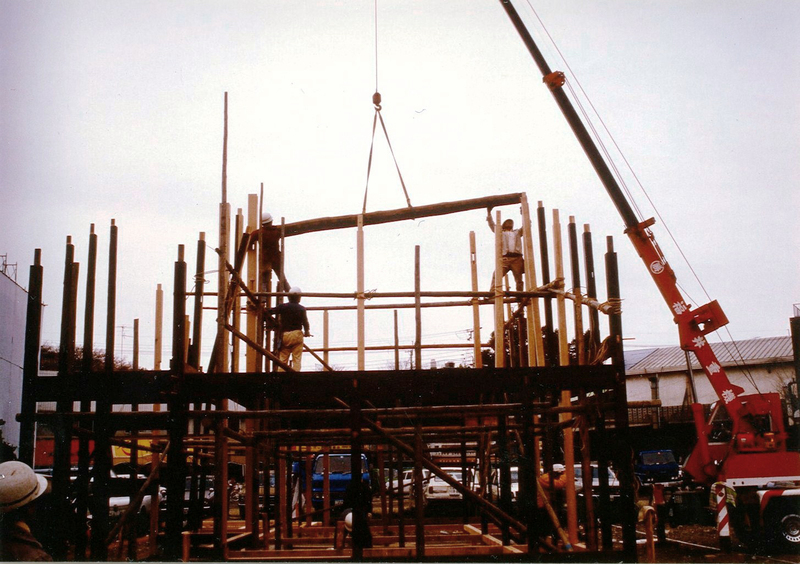 After the frame is finished, the carpenters build the house as we see it today. Each day they came to the Museum and worked on the house, using traditional Japanese tools and techniques. While living in Boston, the carpenters ride the T, go fishing, go to a Red Sox baseball game, play softball on Boston Children’s Museum’s team, and even eat at McDonald's. 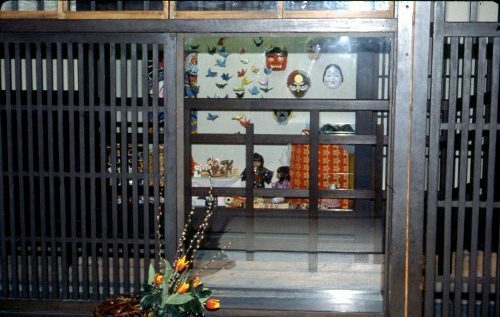 Following the fourth Shinto ceremony, the Shunko-shiki, or Completion Ceremony is held in the Museum, and the carpenters return to Kyoto. 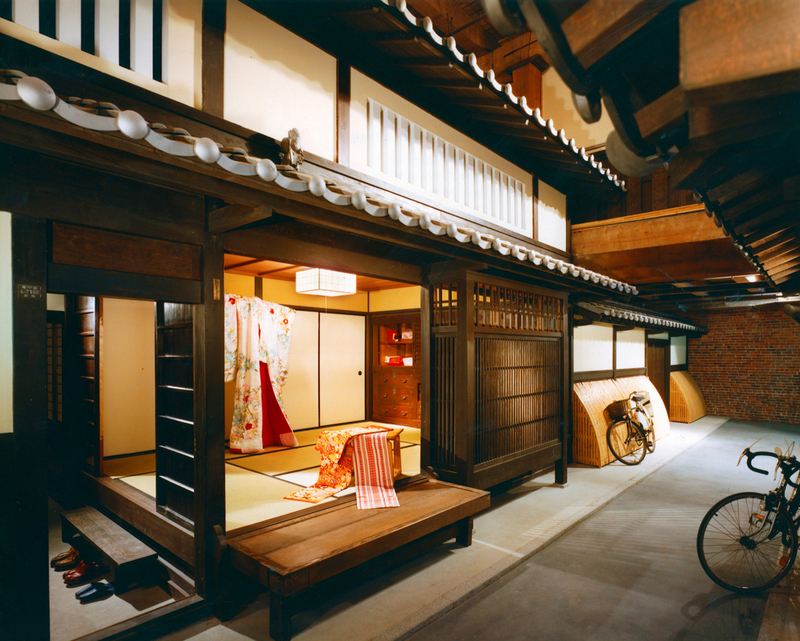 The Museum staff can now furnish The Japanese House and craft the “street” to make the exhibit feel like a true part of Kyoto. BCM staff plan school and family programs. 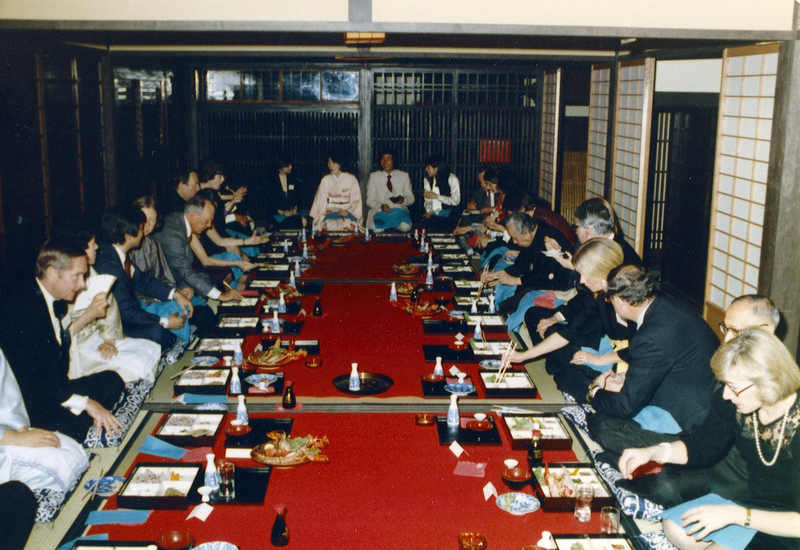 Museum Director Michael Spock hosts a black-tie dinner in The Japanese House in celebration of the Grand Opening. 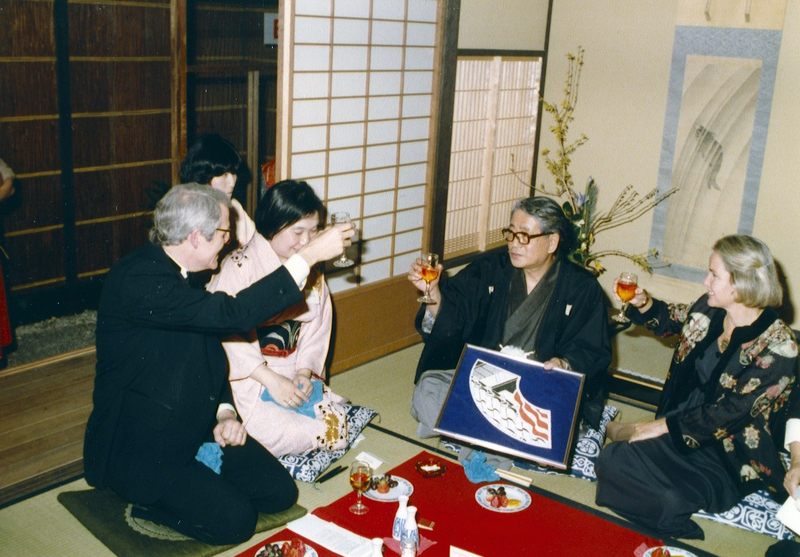 Museum Director Michael Spock, Museum trustee YorI Oda, Mayor Funahashi, and Katherine White, wife of Mayor Kevin White of Boston, toast the opening of The Japanese House. 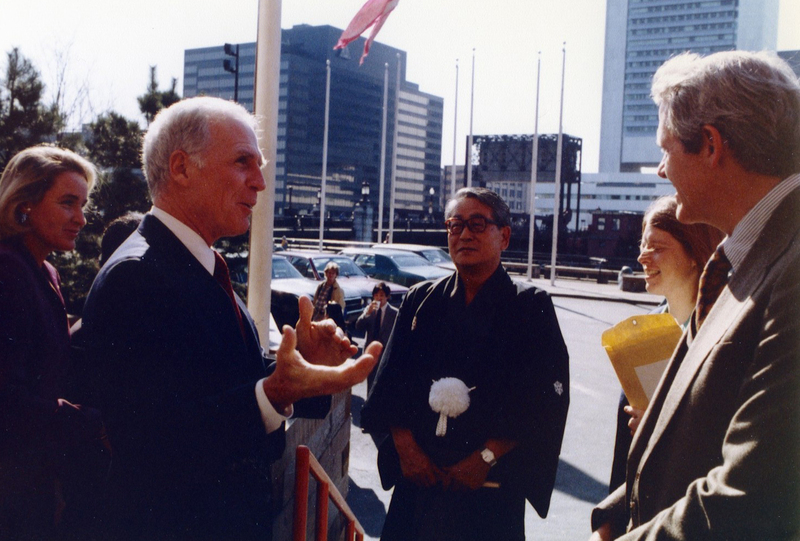 Boston Mayor Kevin White, his wife Katherine, and Museum Director Michael Spock greet Kyoto Mayor Motoki Funahashi and his wife outside the Museum before the dedication of The Japanese House. Mayor Kevin White holds up the deed to The Japanese House, which Mayor Funahashi has just presented to him. 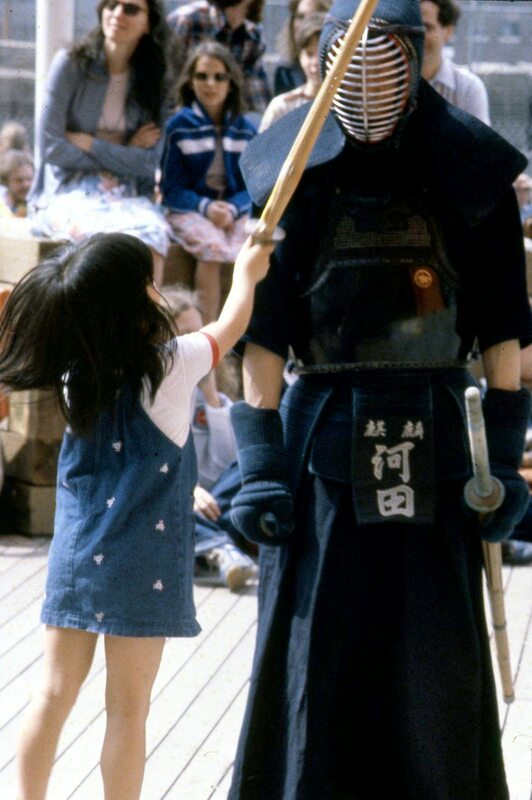 The day after The Japanese House opened, the general public participated in demonstrations of Japanese arts and sports, including kendo fencing, drumming, calligraphy, and much more. 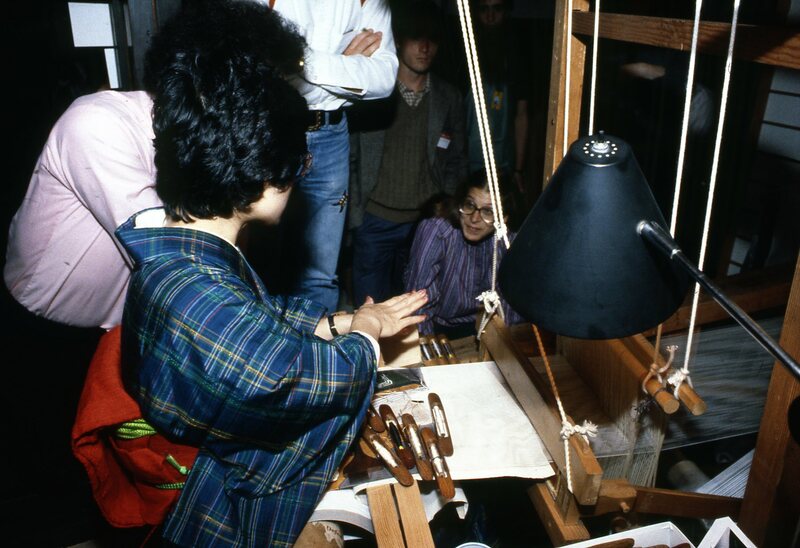 Emiko Ban demonstrated the art of silk weaving in the front room of the house. 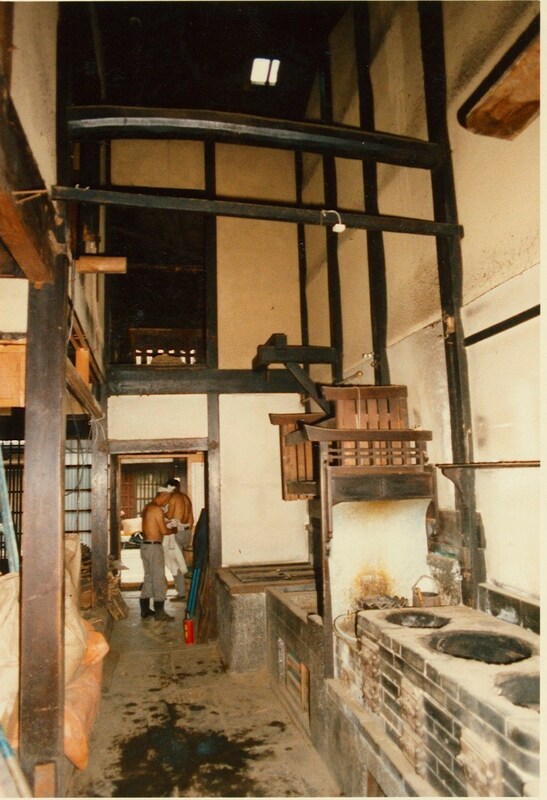 In the silk-weaving district of Kyoto, where The Japanese House came from, silk weaving and silk business was carried out in the room just off the street. As The Japanese House opens to enthusiastic visitors, the Museum expands the educational information that it offers to visitors about the house, Kyoto, and Japan. 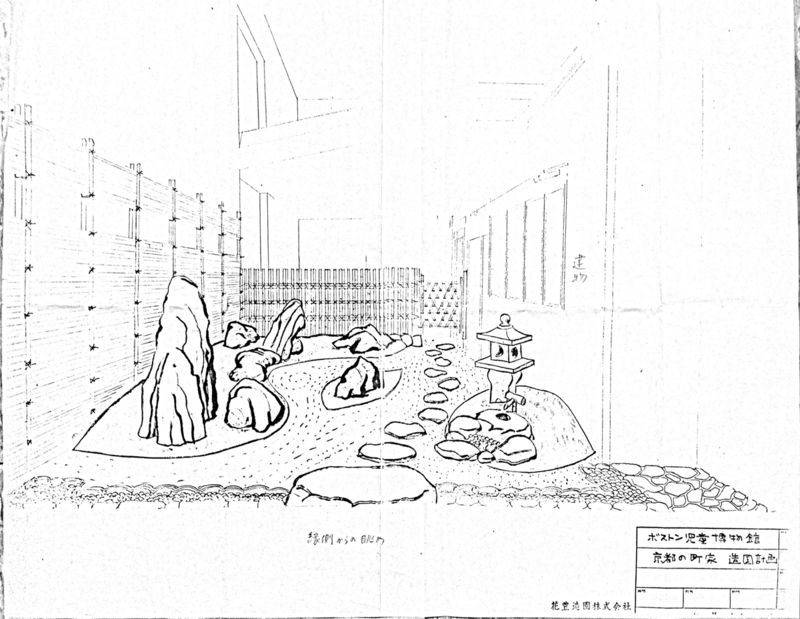 Gardens are essential elements of Japanese houses, thus new ideas and plans must be created to make the garden work. Yasuimoku Komuten Company designed a garden for Boston Children’s Museum. 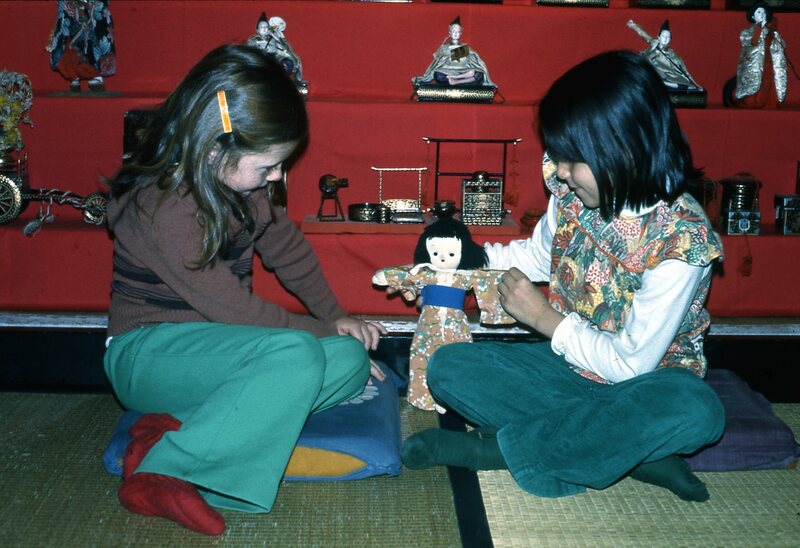 The Japanese House continues to attract visitors of all ages from all over the world. 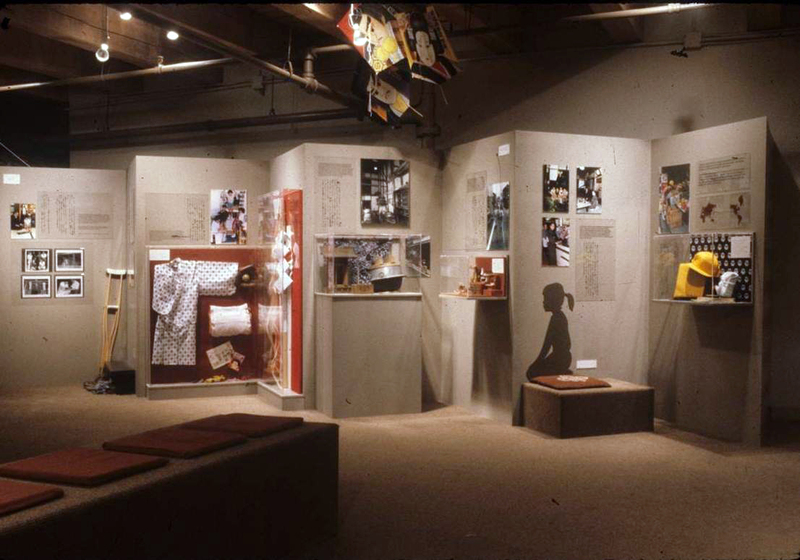 To make the experience of the House and the learning about Japan even more immersive, the Museum creates a comprehensive study area to address all different learning styles and desires. 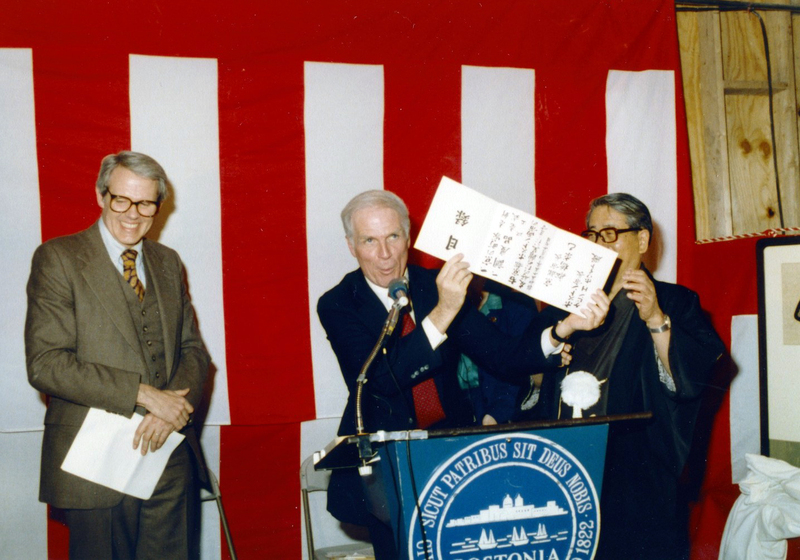 Nearly 20 years of planning and working together by the people of Boston and Kyoto, the carpenters, the architects, and the governments of both cities culminates in the opening of the Japanese Comprehensive Study Area on March 31, 1983.